Anyelis lives with her mom, grandfather, aunt, and uncle in a 2 bedroom block house. She is the middle child with 2 siblings. 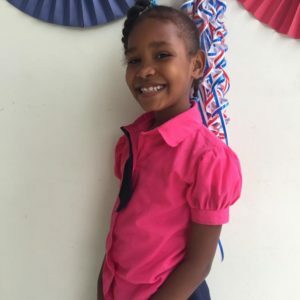 Anyelis began attending Emanuel House in August of 2017. She enjoys playing with friends, singing, and going to school. Anyelis’ favorite color is violet.